New entrants: Should we care? 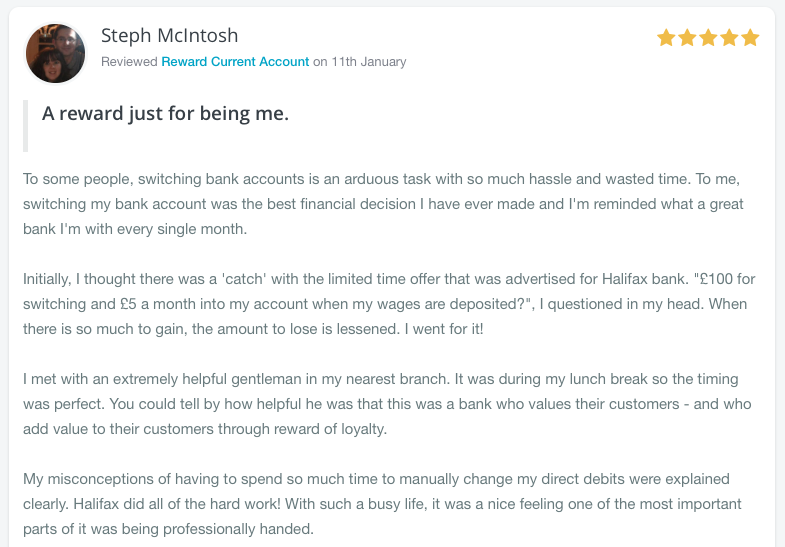 With many of your reviews showing high levels of satisfaction with what’s available today (see below for one exceptional Halifax review received yesterday), it’s clear to us that new entrants need to really differentiate. They need to give us a reason to join them, rather than relying on dissatisfaction with what’s available today. Furthermore, after the successful launch of Metro Bank in 2010 raised the game, new entrants have a tough example to follow. We predicted that only the most innovative (and customer-centric) organisations will thrive in 2015. In this post we look at three of these new entrants. When are they launching and what will make them stand out? Outlook: There’s a lot of excitement around Atom Bank, and rightly so. We’ve heard about some really exciting, innovative things in the pipeline that may prove the online only banking model can really cut mustard and challenge in an increasingly competitive marketplace. The team spearheading this new entrant is also top-notch, and includes Anthony Thomson, co-founder and former chairman of Metro Bank, and Mark Mullen, who resigned as First Direct boss. Launching in the North East of England will give the local economy a good boost too. What they say: "A UK bank for UK savers"
Outlook: Getting a good savings rate from a bank is not easy in this low interest rate environment. However, how Charter Savings Bank will differentiate remains to be seen. With the continued growth of the Alternative Finance sector, and particularly the P2P sector, customers no longer need a bank. We expect some eye-catching marketing as Charter Savings bank looks to capture customer imaginations. Outlook: Starling seems to have had a little less press than Atom Bank, but the vision seems to be equally compelling. Like Atom, Starling is aiming to offer something different. By building the bank from the ground up, devoid of legacy IT issues, they both stand a change of running faster, and being more cost effective than existing banks. Starling’s focus on offering a truly mobile, personalised banking service means it’s definitely worth watching. We’ve set-up review pages for these three new entrants, and are ready to see customer reviews for these in 2015. Ultimately, we’re excited to see these new banks launch, and what innovation they have in store for customers.